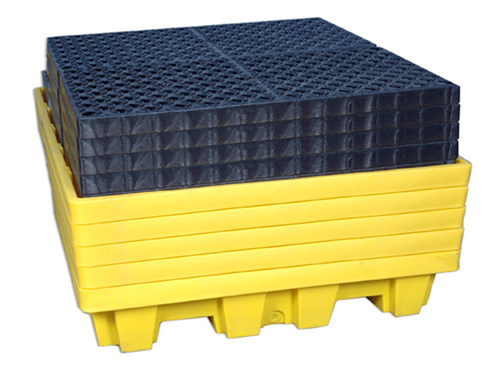 Large 250L sump captures leaks and spills from steel or poly drums (4 drum capacity). 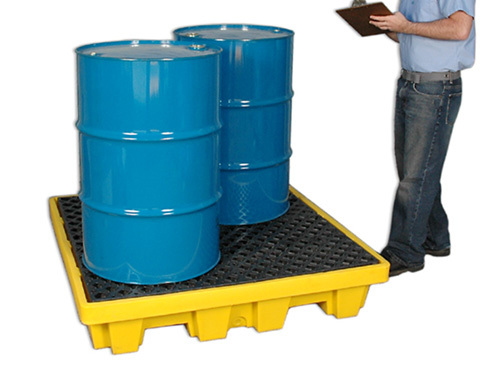 Nestable design allows multiple pallets to be shipped (or stored) in a minimal amount of space. 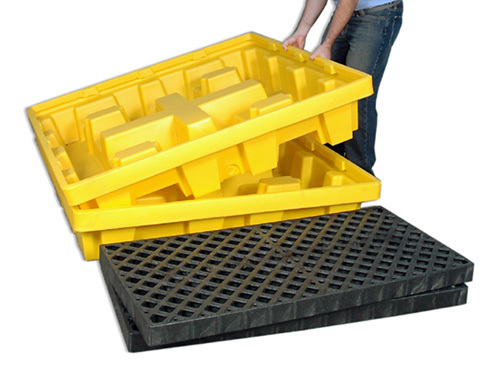 100% polyethylene construction – compatible with a broad range of chemicals including acids and corrosives. Low-profile (10”height) makes drum handling safer and easier. 2-Way forkliftable – provides easy positioning and relocation.